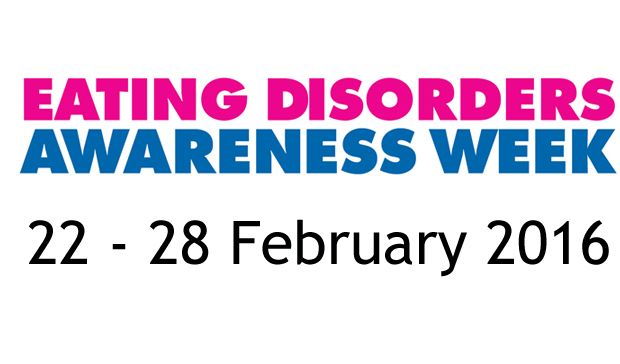 Eating Disorders Awareness Week – Its importance to us..
It’s Eating Disorders Awareness Week this week, an international awareness event, fighting the myths and misunderstandings that surround eating disorders.The theme this year is eating disorders in the workplace. Beat (the UK’s leading eating disorder charity) will be concentrating on the impact eating disorders can have in the workplace and highlighting what individuals, colleagues and employers can do to support someone’s recovery at work. In the UK, around 725,000 people are affected by an eating disorder, according to the charity Beat. Anorexia, bulimia and binge eating disorder as the most common illnesses. While women are more likely to suffer than men, 11 per cent of males struggle with such conditions. We received this heartwarming email a few months ago from a Giving Tree fan who shared with us her love with our snacks and how they have helped her in her recovery from Anorexia Nervosa. To know we have been able to contribute to this overwhelmingly difficult battle with someones eating disorder made us so happy. A story this week from the Telegraph describes the heartbreaking moment a 10 year old girl became anorexic and battled with deeply saddening weight issues. It truly highlights the influence of messages that ‘healthy eating’ can give off to younger children. Influences are everywhere, with social media filled with motivational images and videos of healthy lifestyles and exercise regimes. Schools are doing the right thing in installing into children the importance of healthy eating choices which by all means is a positive, however some crucial points to take out of this.. ‘Living healthily is about moderation not exclusion.’ Children need to be reminded that yes obesity is something that should be avoided and to ensure a healthy lifestyle, however not to be scared of occasionally enjoying a ‘treat’ whether that be the occasional chocolate bar or slice of pizza. If obesity is your concern, ask your child if they really are hungry when they ask for food. Often we use food to combat boredom, says Dempsey. ‘Think about fluids, too. Dehydration can often be confused with hunger.’ And don’t forget parents.. as important as it is to insure your children eat heathily and well, be careful with your own language and avoid always talking about your weight or complaining about body issues as these can easily be transferred onto your child. Alongside this, many health bloggers and food fanatics are creating artistic and deliciously healthy looking recipes all over social media. However, the issue is so many of these recipes are lacking in essential macro nutrients such as carbohydrates and essential fats. Many of the health bloggers and wellness coaches actually have no nutritional qualifications and therefore fairly concerning when they have such large followings and such an impact on followers. We can’t say that the media causes eating disorders; however, it is evident that the limited representation of beauty has lingering effects on the way we view our bodies. Even Barbie, who was the pinnacle of unattainable beauty for the last 50-plus years with her tiny figure, is acknowledging the range and diversity of beautiful women now with a redesign consisting of three body shapes — tall, petite, and curvy — and seven skin tones. Although someone might not “look like they have an eating disorder,” it is important to note that eating disorders do not discriminate; you cannot tell anything about a person’s relationship with food based on their age, gender, ethnicity, socioeconomic status, or even weight. Moreover, eating disorders are not just a “fad” or a “phase,” they are serious, potentially life-threatening conditions that affect a person’s health — emotionally, physically, and psychologically. The recovery statistics currently shows around 46% of anorexia patients fully recover, and 33% improving. Similar research into bulimia suggests that 45% make a full recovery and 27% improve considerably, a positive and promising figure that these disorders can be overcome with the right support, encouragement and understanding too.